I want it to get really cold outside so I can stay home and curl up with this book. And how. The tale of elite college students in Vermont who murder one of their own is so well-written and erudite and haunting that I still have passages of it engraved on my brain, twenty-one years after I read it (and re-read it and re-read it). Donna's hair belongs in the Bob Hall of Fame. It’s that good. Photo by Beowulf Sheehan. 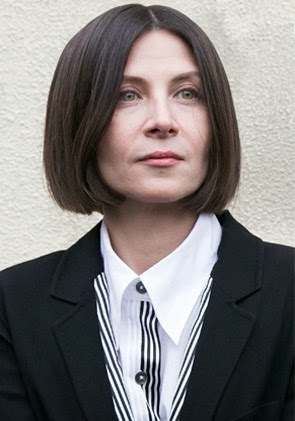 I had long wanted to meet Donna Tartt but I don’t think she gave a reading in San Diego for The Secret History, at least that I knew about, so my next chance was in 2002 upon the publication of her second novel, The Little Friend. She gave a reading at the Barnes & Noble in Union Square in Manhattan. I had given birth to my first child about two weeks before so while I was there to hear Donna read—and she cuts an interesting and mysterious figure—I was new-mom exhausted and also couldn’t stop thinking of how cute my little son was! The line to have Donna sign a book after the reading was so long that I left and returned home to my new baby. My advanced reader’s copy of The Little Friend, signed by Donna. I had also brought along a Christmas ornament as a present for Donna, to thank her for her wonderful writing. She really is one of the best. I find her work to be a bewitching combination of Dickens, crossed with Poe, and yet laced with a magic all her own. 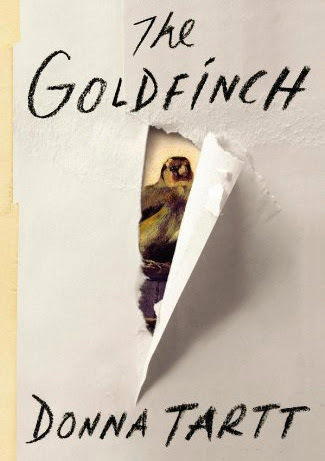 I can hardly wait to curl up with a box of truffles and a copy The Goldfinch. It weighs in at 771 pages! How’s that for slow fiction? Donna will be giving a reading next week at Congregation Beth Elohim in Brooklyn, right down the street from where I live. How exciting! You can bet I will be there. Reservations are recommended for the reading, which is October 29, 2013 at 7:30pm at Congregation Beth Elohim on Garfield Place at 8th Avenue in Park Slope, Brooklyn. Think of it as a grown-up (and sugar free) Halloween treat! Also a fan but this one may have to wait... 800+ pages! BTW Sigrid Nunez will be one of a few interesting people to celebrate the LOA's collection of Susan Sontag. Community Bookstore 10/30! Hi Jill, just wanted to respond to your comment regarding Clothes on Film. I love films so as soon as I spotted the title on your sidebar earlier I simply couldn't resist. Great site. Thx for sharing. Beautiful prose framing timeless themes within contemporary story lines. A joy to sink into. One of the very few books I've wanted to begin reading again the moment I turned the last page. I can't remember a book I enjoyed more. I was quite bereft when I reached the end, as I realised that I would no longer be able to delve into the lives of Theo, Boris, Hobie and Pippa. Ms Tartt writes beautifully and although it may sound like a contradiction, as the novel is quite long - sparely. Every word is there for a reason. In short, I loved it. Have bought it for my mum and have recommended it to many others. Thanks Ms Tartt for a book I will remember for the rest of my life.